Listen Friday nights from 7p to 11p as Detroiter Maxine Michaels presents her MAXOLOGY brand of edutainment on WRCJ 90.9 FM and HD-1 Detroit. Michaels is a Detroit, Michigan, based broadcaster/communicator, talent booking agent, freelance entertainment writer and event planner. Michaels is passionate about all music and especially the genre of jazz. She is a music researcher and historian, who is extremely knowledgeable of the music industry, as well as being an ambassador of goodwill in the city of Detroit. Her most recent effort to both entertain and educate music lovers utilizes the social media outlet of Facebook with daily contributions. The signature style and programming selections of Michaels is enjoyed by a huge list of friends and fans who span the globe. Michaels consistently reflects innovation with an uncanny ability to educate the masses about the rich history of jazz, cultural information and more. Please connect with Maxine on Facebook. From June 27, 2014 to December 2014 – Maxine Michaels in partnership with Briarwood Mall in Ann Arbor was treating shoppers to live performances, the feature Jazz to the Max (hosted by Maxine Michaels). These presentations showcased a long list of renowned Detroit based jazz artists, making it a great shopping destination as well an entertainment hub for the Ann Arbor community. In June 2014, thousands of Hour Detroit magazine readers went on the record with their picks for the “Best Of Detroit”, voting as number one winner in the People Section – Maxine Michaels as Best DJ (Non-Radio), this feature article is printed in the June issue of Hour Detroit magazine. In December 2013, with a commitment to the efforts of supporting music appreciation, Michaels kicked off the inaugural event known as the Mayflower Music Series, she continues to serve as artistic director/host/producer. The fundraising effort takes place every first Friday of the month at Mayflower Congregational United Church of Christ in Detroit. A generous sponsorship has even provided for expanded outdoor summer editions – the third annual Jazz In Paradise in conjunction with the Mayflower Music Series was held in July 2015. The fundraising causes support the preservation and restoration of the historic Mayflower Church, as well donations support the Arts and Detroit based musicians. Michaels is a graduate of Specs Howard School of Broadcast Arts, and has since gone on to develop an outstanding reputation for excellence in broadcasting, an exquisite fine taste for jazz, and she has ultimately created a high degree of name recognition. Maxine Michaels entered her broadcasting career as a hard working and focused intern at WJZZ (a heritage jazz radio station once licensed in Detroit). After graduating at the top of her class with numerous awards and accolades, her first assignment was as a midday news writer/reporter and ghost writer for Martha Jean “The Queen” Steinberg. Michaels also assisted in the production of Detroit Black Journal WTVS-56, as well the talk segment “Back To Back.” In the early stage of her broadcast career she worked at WDZZ-Flint, and hit the pavement running again as an on-air personality in the Detroit market at Mix 92.3 Hits & Oldies. 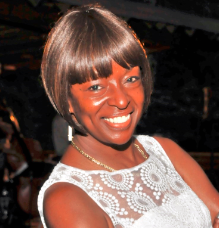 Her interest in jazz was further enhanced on V98.7 Smooth Jazz hosting nights and evenings, and it was during this period she began to truly establish a presence in the community. Michaels became comfortable taking center stage, serving as emcee for many events and making countless appearances representing the station in the highest standard. The next level of her growth in radio came at the calling of WGPR 107.5 Program Director, Rosetta Hines (formerly of WJZZ), who recruited Michaels as an evening talent, hand picked to focus exclusively on a jazz and rhythm & blues format. Michaels again displayed tremendous talent, having free-reign to program her own jazz centered radio show in a competitive, major broadcasting market. In 2002, Michaels was voted as the Detroit News, Readers Choice Award Winner – Best Radio Voice/Best Radio Show. It was during this period that Michaels, spear-headed the Northland Jazz Series (a free to the public, 5-year run series that brought live jazz to the open courtyard at Northland Mall). In addition Michaels became a solid live jazz producer, promoter and host at numerous venues. It has been through these ventures and many others that Michaels has gained valuable insights into promotions, generating funding, imaging and branding. Maxine Michaels takes great pride in having given many Detroit based music artists their first radio airplay, she has consistently stood as an advocate in support of Detroit area music makers, and increasing public awareness of talent through live jazz performances.